So, you’re looking for a holiday that’s got plenty of culture, plenty of people and is far from what you’ve ever experienced before. Well, you need to book a plane to North Korea, then. No, this isn’t a joke. It’s a recommendation. Heading to this almost-completely closed-off country isn’t anywhere near as difficult as it once was. It’s time to enjoy an experience like no other on Earth. We find, on our trip to the capital, Pyongyang, that North Koreans are, on the whole, a pretty welcoming bunch of people. You’re stringently investigated when you apply for the visa, of course, and you must join a tour group rather than just arrange your own sojourn, but the process is scarcely more difficult than that of a foreigner heading over to mainland China. 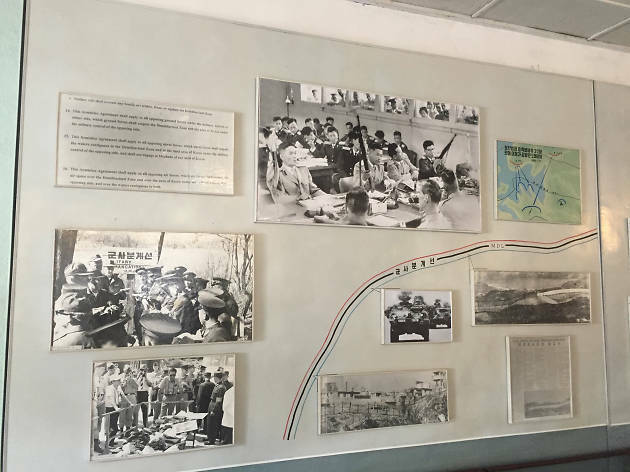 The tour companies arrange everything for you – including that visa – meaning all you have to do is knock up our city’s North Korean Embassy, pack your sunscreen and make sure you’re taking your camera along with your open mind. However, it’s still true that North Korea is a pretty controlling place and Pyongyang is no exception. At all times on your tour, you’re under the watchful eyes of the guides who are there to make sure you don’t wander off and discover a different side to the city. But it doesn’t matter. There’s plenty to experience on your holiday and you can make up your own mind after you return to Hong Kong. There are two routes that most people take into Pyongyang. One is by Air Koryo (airkoryo.org), North Korea’s official airline, which has been rated over the years as one of the worst in the world. So we suggest the other option – taking the seven-hour train journey from Dandong, China (the journey is included in your tour price). There are two hours’ worth of military customs on the way where every inch of your belongings is searched – but that’s to be expected. Your phones are surrendered and your personal messages and photos are given a good going over – but don’t fret. It’s worth it as you then get incredible views of rural life from the train on your way to the capital. Some of these scenes can be heartbreaking. We see old women digging for metal. We see field after infertile field. We see few cars. As you approach Pyongyang, though, the view changes radically. The city rises up like a first-tier conurbation in China – and it’s also instantly cleaner than many of the Mainland’s cities. Tall, modern, extravagant buildings rear into view and dominate the skyline. You see few people going in and out of them – raising questions as to whether many people actually live inside – but the vista is impressive. 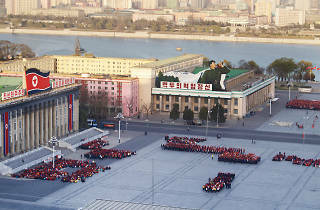 On our visit to the city in April with Kyoro Tours (six days and five nights on a tour is $13,600; koryogroup.com), the highly anticipated Pyongyang Marathon (pyongyangmarathon.com) – one of the city’s biggest events of the year – is being run. It’s the third year it’s been open to foreigners and, if you’re from abroad, you’re treated like an Olympian. After entering the Kim Ill-sung Stadium, all those visiting from out of town are cheered wildly by the crowds. It’s overwhelming. You wave back and then you’re welcomed by the host. Of course, you openly thank supreme leader Kim Jong-un for making all this happen. For those not into endurance running, don’t worry. If you’re hoping to catch next year’s marathon on April 9, there’s a four-hour limit for the 10km race, which is technically run at a crawling pace. The whole experience is not to be missed as it’s the only time during our trip where we’re allowed to jog – nay, walk – freely on the streets without the hawking eyes of the guides on our backs. And it’s a great way to meet locals as children and old people passionately cheer you on along the way. Yes, these people may have been made to do this for the race’s image – but who cares? Their smiles seem real. 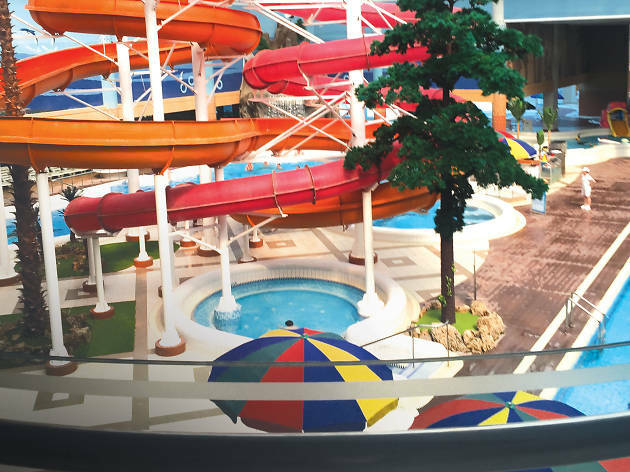 Outside of special events like the marathon, there are a few spots around town that are worth hitting up on your tour, like Munsu Water Park, where there are water slides both indoors and out. The park is well-maintained, colourful and bags of fun. 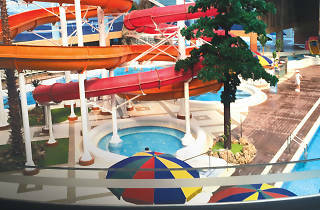 You’re allowed to talk to the locals and even have friendly races in the pools. 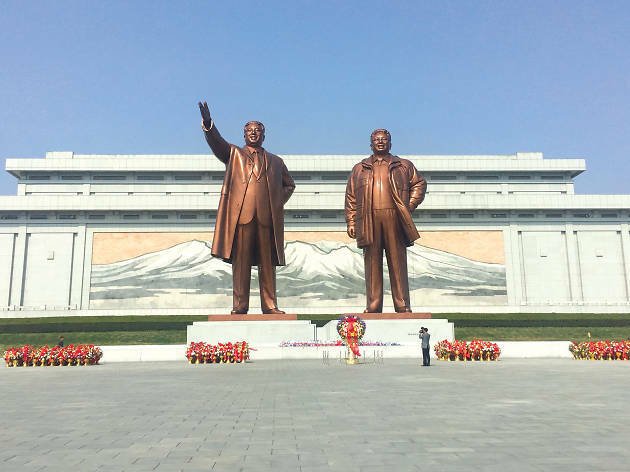 Also, the Mansudae Grand Monument is a must-visit. A must as in you have no choice on a tour as all visitors to the city must go along and bow in front of the statues of the supreme leaders. Other typical visits see you checking out Kim Il-sung Square, the Arch of Reunification, the Arch of Triumph and the Monument to Party Founding. 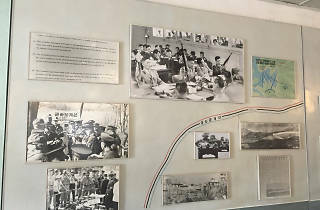 And a visit to the Victorious Fatherland Liberation War Museum is also most likely to be on the menu. It’s entertaining if not uncomfortable at times to listen to the propaganda – but, dubious information aside, the building itself is magnificent and the 360-degree diorama of the Battle of Daejeon is a spectacular must-see. With international reports of famine in North Korea, you may worry you won’t be fed well. However, there’s a huge amount of tuck served up during the tours. The quality may vary but you won’t go hungry. Watch out, though, as what often looks like a potato turns out to be a block of fat alongside some stir-fried vegetables. We even dine in an Italian restaurant with an imported stone-baked pizza oven from Europe. For a country where fruit is rarely available, we sample an intriguing fresh fruit pizza here. Tip – bring multivitamin pills on your trip as fruit is a rare luxury. Another tip – don’t bring your camera to snap locals in the restaurants. There aren’t any. Just tourists. The hotels in Pyongyang are hardly luxurious. Most tourists stay at the Yanggakdo International Hotel, which is situated on an island in the middle of the city. Under no circumstances are you allowed to leave the hotel without the guides – but you won’t be bored with the karaoke bar here. Chinese channels such as CCTV are also available. There’s generally hot water to shower in but not always. 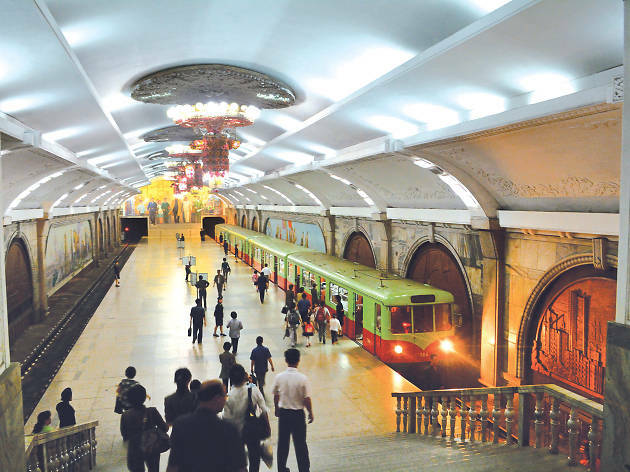 Throughout your trip, you’re on the tour bus – but you’re also allowed to visit the Pyongyang Metro to take a ride to several stations. The stations are spacious and boast grand chandeliers. Compared to Hong Kong, these are a luxury to be in. We hear from other tourists that actors sometimes turn up on the platforms and put on a show. Buses, taxis and trams are also seen on the streets but, unfortunately, tourists are not allowed to use them. 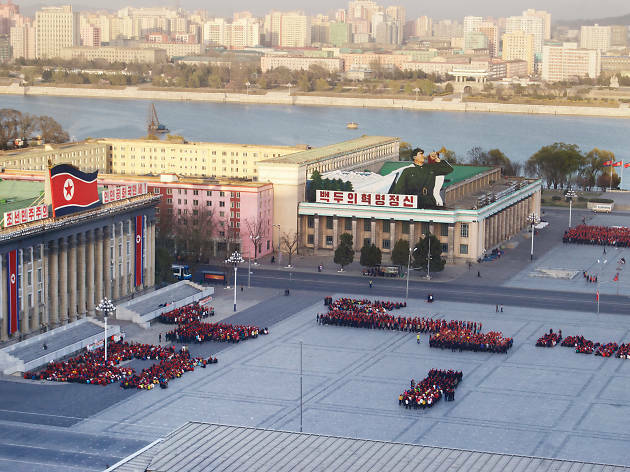 You can get more from visiting Pyongyang if you open your eyes. Notice the children playing in the side-streets. Read between the lines when you talk to the guides or the shopkeepers. Look around at the lack of people in some places. But also enjoy a unique experience, with some grand buildings, some fun in-your-face events and attractions, and even some decent food. You’re going to be frustrated by the lack of freedoms but you’re also going to learn that North Koreans are friendly, welcoming and – if you have the chance to chat – just as curious of you as you are of them. This is no five-star luxury trip. It’s a first-class course in what life is like for people in a part of the world you knew practically nothing about before. 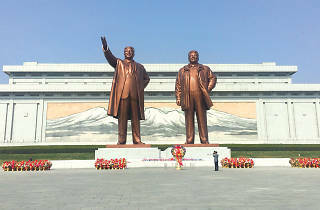 To find out more on how to get on a tour to Pyongyang, head to koryogroup.com or youngpioneertours.com.